Born in Dublin in 1986, Simone Rocha studied fashion at the National College of Art in Dublin before taking a course at the prestigious Central Saint Martins College in London. She presents her very first collection in 2012 by imagining creations that are both audacious and romantic. Between embroidery, transparency effects and aerial materials, the Simone Rocha collections seem to find the perfect balance between minimalism and avant-gardism, delicacy and style. Simone Rocha white shirt. 3/4 and puff sleeves. 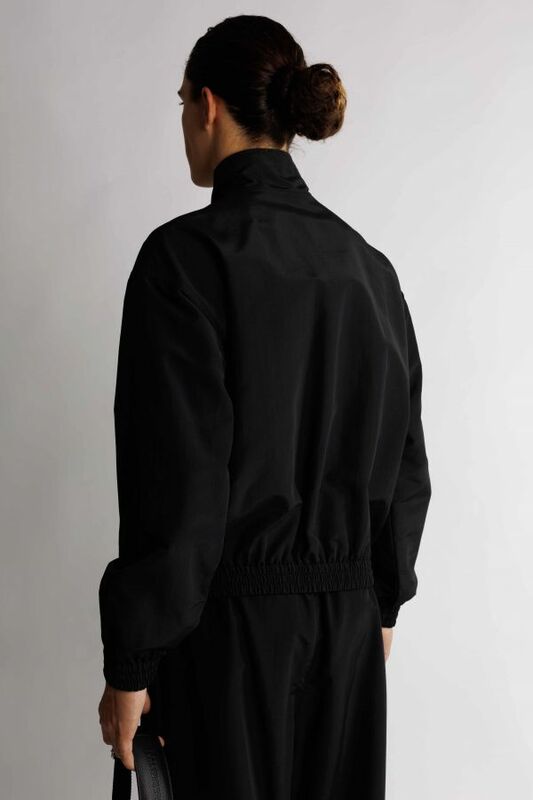 Jogging pants Simone Rocha black. Knots at the pockets and knees. Elastic bottom.